Sennheiser has announced the MM 50 iP for the iPhone, allowing you to hear music with the noise-reducing buds as well as take calls and control playback. The company has long been known for producing decent buds at reasonable prices, but these weren’t easily used with the iPhone due to an embedded headphone port requiring an adaptor. But now all Sennheiser headphones are to be equipped with the right shape headphone jack to comply with Apple's madness, the range is tailor made for the iPhone. The button in the middle of the headphone set does more than just split the sound; you can also pause and skip tracks, as well as use it as a handfree kit for your favourite Apple phone. Coming in at £50 and resembling Sennheiser’s successful CX300 range, this is one set of 'phones that might be worth the upgrade. 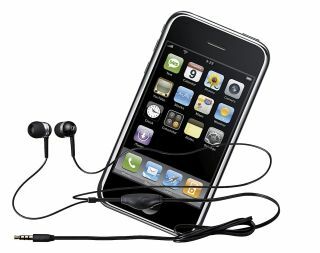 Let’s just hope the 3G iPhone doesn’t do away with the weird headphone port, eh Sennheiser?